This week, Gatorade announced the winners of the 2017-18 Gatorade State Softball Players of the Year and Softball Factory is proud to announce that six former athletes were recognized as the best player in the state they reside in. We congratulate all 49 winners this year and especially to our Softball Factory alums who have received this honor. Wacaser is a sophomore at Bentonville HS hit .485 with 10 home runs, 42 RBI, 14 steals, a .548 on-base percentage and slugged .970 to help lead her team to the Arkansas Class 7A State Championship Game. In the circle, she finished 3-0 with a 3.36 ERA and 20 strikeouts. Hallie participated in the 2015 Under Armour Softball Factory Southwest Championships. Marcon is a junior at Caravel Academy in Bear, DE and put together a fine season for the Buccaneers this past season. She hit .520 with eight homers, 25 RBI and a slugging percentage of 1.140. Nicole played in the 2014 Under Armour Softball Factory Fall Classic Showcase. Prange played short stop for New Palestine High School in New Palestine, IN and dominated with the bat, hitting .591 with 16 homers, 64 RBI. Prange is Indiana’s state single-season record-holder for home runs and she is a First Team All-State selection. 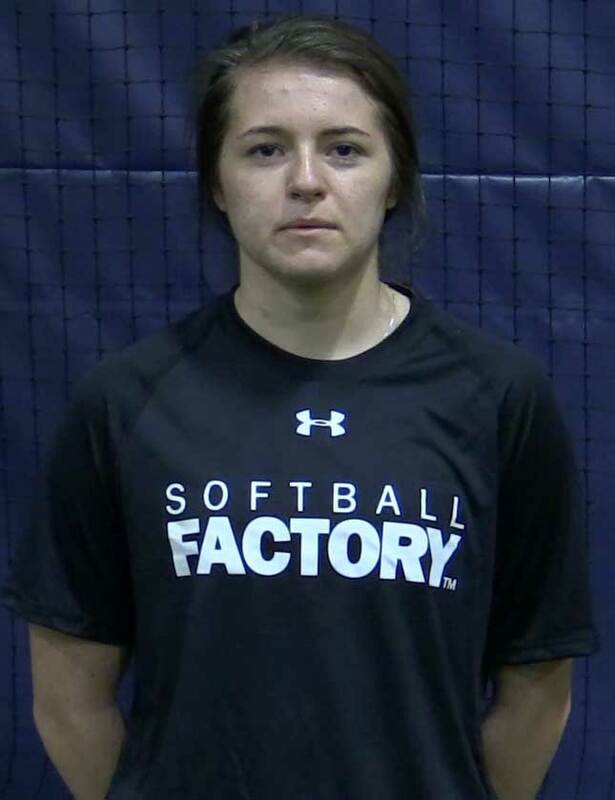 Softball Factory scouts and coaches first saw Ashley at an Under Armour Softball Factory National Tryout in Bloomington, IN in June of 2013 and six months later, was part of Softball Factory’s Christmas Camp & Tournament in Vero Beach, FL at Historic Dodgertown. Kline is a junior short stop from Severna Park High School in Severna Park, MD. Part of the Falcons Class 4A State Championship team, Kline was a big reason the team won it all. She hit .750 with 12 doubles, six triples, eight home runs, 53 runs scored, 39 RBI and a 1.272 slugging percentage. She’s been breaking state records along the way, as she had a Maryland record of 69 hits with 24 multi-hit games, and her 148 career hits is just 18 shy of the state record. She’ll get her shot to do so next year, where she will carry a 32-game hitting streak into her senior season. Campbell attended an Under Armour Softball Factory College PREP event in Glen Arm, MD back in March of 2016. Abby is a junior at Concord High School in Concord, NH. Rochette put together an excellent season inside the circle, going 12-1 with a 0.92 ERA and 151 strikeouts in 83 1/3 innings. She pitched 10 complete games and tossed three no-hitters on the season. Rochette also hit .403 with 23 runs scored for the Crimson Tide. Rochette got her start at an Under Armour Softball Factory National Tryout event in Wilmington, DE in July of 2016. Magoon is a senior at Colchester HS in Vermont and went 8-1 in the circle this past season with a 0.96 ERA. She struck out 109 hitters to just nine walks in 51 innings. She also hit .719 with six home runs and 49 RBI in 16 games. Riley is also a three-time First Team All-Metro League selection. Magoon attended the same event as Rochette back in July of 2016, getting her start at an Under Armour Softball Factory College PREP event in Delaware. This entry was posted in News and tagged Abby Rochette, Ashley Prange, Campbell Kline, Gatorade, Gatorade State Softball Player of the Year, Hallie Wacaser, Nicole Marcon, Riley Magoon, Softball Factory, Softball Factory alumni on June 6, 2018 by Matt Lund. The field of 64 is set for this year’s NCAA Division I Championship with the University of Oregon earning top billing as the No.1 overall seed in this year’s tournament. Oregon has been a tough team this season, going 14-5 against seeded opponents. For the second straight year, the Southeastern Conference led all leagues with 13 teams selected to the tournament. According to the NCAA website, four teams are making their first appearance in the tournament: Boise State University, Kennesaw State University, Monmouth University, and Prairie View A&M University. This year, 53 of the 64 teams entered into the 2018 NCAA Division I Softball Championship tournament have at least one Softball Factory alumnae on a roster. In total, 121 players who have participated in at least one Softball Factory event are on the rosters of teams looking for the opportunity to be called champion. Prairie View leads the way with six alums while Harvard University, McNeese State and Jacksonville State each have five alums on their rosters. Below is a list of alums who are on rosters of teams selected for this year’s tournament. This entry was posted in News on May 18, 2018 by Matt Lund. Meghan Beaubien – The University of Michigan freshman snagged Pitcher and Co-Freshman of the Week honors for the second consecutive time after she went 4-0 with a 0.00 ERA last week, allowing just two hits with 25 strikeouts in 17 1/3 innings of work. In the series opener against Purdue, she tossed her second no-hitter of the season. For the season Beaubien is 20-2 with an 0.78 ERA and 151 strikeouts for the Wolverines, who are 28-7 on the season. Meghan attended an Under Armour Softball Factory National Tryout in Waterford Township, MI in 2016. Jackie Najera – (Chaminade University – Pacwest Conference) – Najera collected 19 hits during the week of March 19th as the Silverswords won four games, including a 9-2 victory over No. 13 Sonoma State. For the season to date, Najera leads the team in hitting with a .360 average to go along with 18 doubles, one home run and 23 RBI. The freshman infielder from Santa Ana, CA, attended an Under Armour Softball Factory National Tryout in Orange, CA in 2015. Haley Drakoulakos – (Assumption University) Drakoulakos, a freshman second baseman for the Greyhounds, was named to the Hitting Honor Roll in the Northeast10 Conference as the team went 3-0 last weekend and Haley paced the offense, collecting three doubles, three RBI and three runs scored. Assumption is currently 8-5 overall. Haley attended a UA SF National Tryout in Medfield, MA back in 2013. Kylie Stonebraker – (University of New Haven) – Stonebraker was an Honorable Mention for her pitching performance last week in the Northeast10, pitching 12 2/3 innings, allowing five hits overall for the week. She recorded a five-inning shutout against Saint Rose, tying a career-high in strikeouts with 10. Her next start, she pitched 7 2/3 with seven strikeouts. Kylie attended the 2015 UA Softball Factory Eastern Classic. Payton Lippert – (Shorter University) – Lippert, a junior pitcher, was named Pitcher of the Week in the Gulf South Conference, winning both of her starts against No. 22 Alabama Huntsville last week, allowing only two earned runs on 11 hits with seven strikeouts. For the season, Payton is 8-6 with a 2.76 ERA in 18 appearances (11 starts). She attended a UA SF National Tryout in Jackson, MS in 2014. Theresa Gonzales – Gonzales, a junior IF at UT-Tyler, was named Hitter of the Week in the American Southwest Conference, going 9-for-15 (.600) during the week with six doubles, a home run, 11 RBI and six runs scored. Gonzales attended a UA SF National Tryout in Georgetown, TX in 2013 and was a participant in the 2014 Softball Factory All-America Pre-Season Tournament. Tori Wilkins – Wilkins is a junior OF at McDaniel College in Westminster, MD and earned Player of the Week honors in the Centennial Conference, hitting .533 for the week with a home run, eight RBI and a stolen base as the Green Terror got off to a 3-1 start in conference play. Tori, a graduate of Land O’ Lakes HS in Lutz, FL, attended the 2014 UA Softball Factory Summer Showcase. Kaitlyn Willis – Willis, a senior pitcher at Ursinus, also in the Centennial Conference, took home Pitcher of the Week honors, allowing just one earned run in 20.0 IP, striking out 22 and walking just six. The Perryville, MD native leads the conference in strikeouts with 63, while ranking second in ERA (1.11). She attended one of the first UA SF National Tryouts, in Baltimore, MD, back in 2011. This entry was posted in News and tagged Haley Drakoulakos, Jackie Najera, Kaitlyn Willis, Kylie Stonebraker, Meghan Beaubien, Payton Lippert, Softball Factory alumni, Softball Factory Alumni Notebook, Theresa Gonzales, Tori Wilkins on April 4, 2018 by Matt Lund. Dasha Hill – Hill, a junior at Hampton University, was named MEAC Player of the Week (for the week ending March 4) and during a six-game stretch, went 12-for-22 with seven runs scored. She had a pair of three-hit games against the University of Maryland-Eastern Shore during that stretch and currently leads the nation in stolen bases with 30. Her .487 average is also good for ninth in the country in Division I softball. 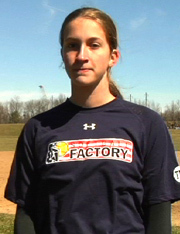 The Williamsburg, VA native attended an Under Armour Softball Factory National Tryout in Glen Allen, VA back in 2014. Jordan Cargile – Cargile, a Baltimore, MD native and senior RHP at the University of Delaware currently has a 3.61 ERA. 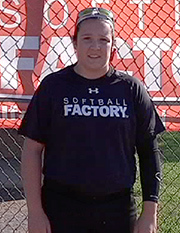 Cargile attended one of the first Softball Factory events ever held when she attended a Softball Factory Accelerated Hitting Weekend in December of 2011. She later played in the Softball Factory College World Series Select Training and the Ronald McDonald Tournament in 2012. 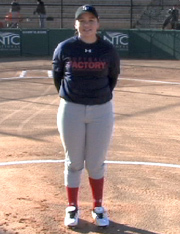 In 2014, Jordan was a Softball Factory Pre-Season All-American. Amber Johns – Johns is a freshman pitcher at Division II North Georgia – as of March 25th, was 2nd in Division II rankings in ERA with a 0.38 ERA for the Nighthawks. She’s 12-0 in the circle in 13 starts (18 appearances) with 83 strikeouts and only four earned runs allowed in 73 2/3 IP. Amber participated in the 2014 Under Armour Fall Classic Showcase. Amanda Clark – Clark is currently second in all of Division III in batting average, hitting .842 for Gwynedd Mercy University. The sophomore C/IF from Philadelphia, PA is also second in slugging percentage (1.368) and was named the CSAC Player of the Week in early March after posting three or more hits in four games, including a 4-for-4 performance with four RBI’s in the team’s first game of the year against Medaille. Amanda attended an Under Armour Softball Factory National Tryout in Sellersville, PA and Softball Factory’s Christmas Camp & Tournament in 2014. Gaby Hay – Hay is a freshman at Division III College of New Rochelle where she is a dual-threat with the bat and on the mound. She currently leads the team in hitting with a .400 average, five doubles, four homers and 10 RBI. On the mound, she’s posted a 4.13 ERA in six starts with 36 strikeouts in 39 IP. Hay is a decorated Softball Factory athlete, attending an Under Armour Softball Factory College PREP event and Softball Factory’s Christmas Camp & Tournament in 2015. As a junior and senior, she was named a Pre-Season All-American in 2016 & 2017. This entry was posted in News and tagged Amanda Clark, Amber Johns, Dasha Hill, Jordan Cargile, Softball Factory alumni on March 27, 2018 by Matt Lund. For the first time in Softball Factory history, the All-America Pre-Season Tournament included younger athletes at the UA Softball Factory All-America Rookie Pre-Season Tournament at Scrap Yard Sports in Conroe, TX. The event for the second straight year featured special guest, three-time All-American, Jennie Finch, with wide-ranging talent from across the country. Check out some of the highlighted players from each event, featuring notes from our coaching staff. Reagan Marchant (1B, 2022) – Reagan is a vocal leader on the field, and is very athletic. Good position awareness at first, very coachable. Offensively, she makes adjustments at the plate, squares up the ball well and has good pop. Great team player. Was named Best Defensive Player of the event. Kayla Garber (SS, 2022) – Takes command at short, strong arm, and showed good position awareness at multiple positions. Switch hitter with power from both sides, making hard, consistent contact. Took home the first ever Rookie MVP award at the event. Lilly Hood (2B/OF, 2022) – Lilly is a power hitter, great plate awareness and a very hard out to get. Best of all, she’s coachable with a great work ethic. Was named Best Offensive Player at the event. Sophia Bianco (SS, 2022) – Sophia moves well at short, taking great angles to the ball. Bianco is a line drive hitter with pop on her bat. Overall, a strong athlete with a ton of potential. She was one of the Most Improved players at the event. Emma McLean (OF/IF, 2022) – Emma showed good bat control, takes good angles in the outfield when tracking balls, and not afraid to go after it and dive for them either. Her arm plays well from the field. She was one of the Most Improved players at the event. Taryn Bennett (C/2B, 2020) – Bennett calls her own game; excellent framer of pitches, strong arm with quick release. Offensively, she has pop in her bat, hits to all fields, squares up the ball. Named Top Offensive Player of the Tournament. Hayley Parrott (SS/RHP, 2019) – Parrott is an absolute spark plug on the field; plays her position well. What a gamer. Barrels up the ball well, solid line drive hitter. Confident and coachable, she has all the tools to play at the collegiate level. Parrott was named the All-America Pre-Season MVP. Madison Shea (OF, 2020) – Shea demonstrated her ability to be a vocal leader on the field. In the outfield, she takes great angels to the ball, and offensively, has gap to gap power. Shea was named Top Defensive Player of the Tournament. Jessica Persechino (SS/RHP, 2019) -Persechino was very effective on the mound at Pre-Season. She gets key outs, and is also no easy out at the plate with the bat. She was the Most Improved Player of the Tournament. This entry was posted in Event News, Player Development and tagged Emma McLean, Hayley Parrott, Jessica Persechino, Kayla Garber, Lilly Hood, Madison Shea, Reagan Marchant, Sophia Bianco, Taryn Bennett on February 2, 2018 by Matt Lund. Softball Factory athlete Lauryn Brooks, a stand-out 2018 CF/2B at Eleanor Roosevelt High School in Greenbelt, Maryland, has committed to Hampton University through hard work and reinvention (more on that shortly). Brooks, who became interested in the sport of softball at an early age, watching major leaguers hit homers and steal bases on TV, wanted to do the same kinds of things. Full of energy growing up, she played any sport involving a ball, including bowling and basketball. tournaments across the country as a middle infielder and center fielder. This past summer, Brooks joined the Virginia Legends, coached by Kevin Shafer and gave back with community service, coaching under-privileged youth with the Washington DC Grays Team under the Reviving Baseball in Inner-Cities (RBI) program. Maryland, just days’ shy of her 13th birthday in the summer of 2013. From there, she spent countless hours in the cages and playing in high-level Factory events such as: Spring Training and Christmas Camp at Historic Dodgertown and Softball Factory’s Eastern and Fall Classic Showcases. That mindset has helped Brooks become a standout starting catcher for three seasons at Eleanor Roosevelt High School, as her team won three county and regional championships, while also making three appearances in the Maryland state 4A semi-finals. leading her Raiders squad in home runs (8) and tied for the most RBI (32) before she was sidelined with a broken arm. She was voted a First-Team Softball All Met in 2017 by the Washington Post, becoming the first Prince George’s County (MD) public school softball athlete to receive that honor in the last 15 years, and was nominated for the Maryland Gatorade Player of the Year award. remained determined to get back quick, not letting that derail what she had been working hard to achieve. Accolades aside, realizing her chances were becoming harder to stand out at the next level, Brooks took on the task of reinventing herself: She became a lefty slap hitter. Brooks already had half the equation that college coaches longed for; her lightning-quick speed was a major factor (recorded a 2.95 20-yard time at a recent Softball Factory event), but now needed a new wrinkle to her game. The idea to become a slap hitter was first recognized by Factory coaches, Katie Rietkovich and CJ Browder, noting Lauryn’s speed and athleticism and then formulated in the cages of Softball Factory headquarters in Columbia, Maryland, working numerous times with Softball Factory’s Senior Director, Lea Ann Jarvis, in one-on-one meetings. Brooks had to completely start over, learning new skills as Jarvis taught and un-taught her skills that she learned at an early age. mechanics down, but in the end it paid off and she began getting solid looks from coaches. From this situation, came a close bond with Coach Jarvis. Lauryn’s Player Development Coordinator, Julia Rice first met the family in 2014 and remembers talking to them about the switch to the left side because of her speed. From the beginning, Factory staff were right there for Lauryn, ready to provide encouragement or advice, something David appreciated greatly. Through her work on the field and in the classroom, the Brooks family navigated the sometimes-tricky college recruiting process, leading her to find Hampton University for a variety of reasons. For starters, Lauryn’s mom, Kim is a Hampton alum. Lauryn said she chose the school because of the way it felt like home as soon as she stepped foot on campus. She also immediately connected with Hampton head coach Angela Nicholson’s vision. Brooks could have easily packed it in after her injury and learning to reinvent her game, but didn’t, something Jarvis was proud of. The life-long memories made on the fields across the country with the Factory are priceless, according to Lauryn. The All-America Pre-Season Tournament earlier this month was the most fun she’s ever had as she still keeps in contact with several players she met there, and along the way at other Factory events. Along with the care shown by the coaches and other staff, Lauryn says all of these memories will stay with her, well past when she’s done playing softball. David agrees that by seeing Lauryn go through it, that it was worth the hard work, determination and sacrifice. This entry was posted in News and tagged Hampton University, Lauryn Brooks, Softball Factory on January 23, 2018 by Matt Lund. Gatorade has announced the Softball Players of the Year for 2016-17, based on the state each player lives in and this year, eight Softball Factory alums were part of the honor. Delaware – Avery Wheatley: Avery is a shortstop from Delmar, Delaware and just wrapped up her senior season at Delmar High School. She helped lead the Wildcats to the state championship game at the time she was selected. Wheatley hit .662 with 19 RBI and 40 runs scored and was a First Team All-State selection. 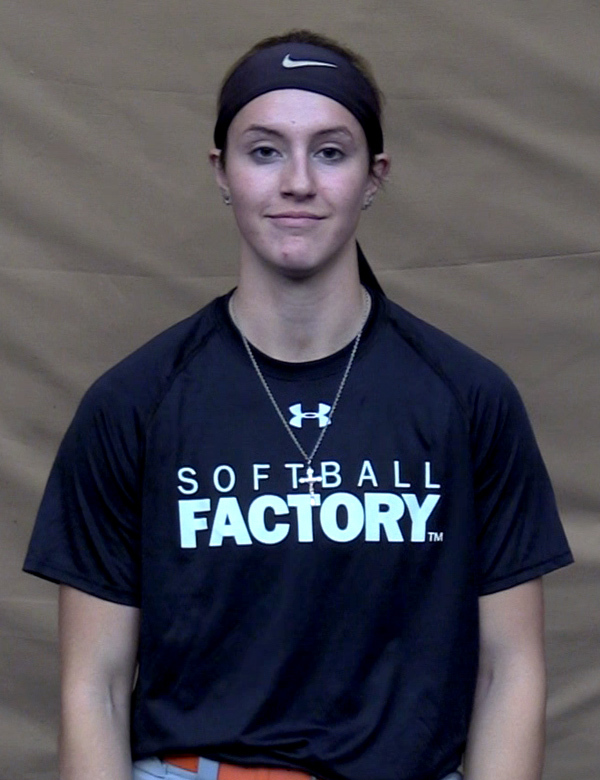 Softball Factory first saw Wheatley at a College PREP event in Savannah, GA in November 2014 and a month later, attended Softball Factory’s Christmas Camp & Tournament. In 2015, she participated in the Under Armour Softball Factory Fall Classic. Wheatley has committed to play at the next level with Appalachian State University. Hawaii – Jocelyn Alo: Alo has now been named Hawaii’s Gatorade State Player of the Year in back-to-back years. She is a senior catcher at Campbell High School in Ewa Beach, HI and helped lead the Lady Sabers to a Division I state title this season, hitting .571 with 12 home runs and 27 RBI. Defensively, she threw out nearly 40% of baserunners attempting to steal. Alo attended an Under Armour Softball Factory National Tryout in Hemet, CA in November, 2016. She has committed to play at the next level with the University of Oklahoma. Maryland – Kaitlin Beasley-Polko: The Leonardtown, MD native is a senior right-handed pitcher at Leonardtown High School and had an incredible season for the record books. Beasley-Polko dominated in her senior season, going 21-2 with an 0.36 ERA, striking out 331 in 157 innings pitched. Her dominance lasted all season as she threw six no-hitters, including one perfect game, and 15 shutouts. Kaitlin attended the 2016 Under Armour Softball Factory Eastern Classic as an 18U Participant and has committed to Coastal Carolina. Michigan – Meghan Beaubien: Beaubien wrapped up her senior season at St. Mary Catholic Central High School where she helped the Kestrels to an 18-3 record at the time of her selection. Meghan was 15-1 in the circle with an ERA of 0.43 and 244 strikeouts in 115 innings pitched through 21 games. She attended a November 2016 National Tryout in Waterford Township (Detroit), MI. She will be playing at the next level with the University of Michigan. Oregon – Lauren Burke: Lauren is a senior shortstop at Marist Catholic High School. Burke is the returning Gatorade State Softball Player of the Year in Oregon and helped the Spartans to a 25-3 record at the time of her selection. Putting together a solid senior season, Burke hit .629 with 14 doubles, 10 home runs, four triples, 62 runs scored and 42 RBI through 28 games. She attended a National Tryout in Hemet, California in 2016 and will play at the next level with the University of Oregon. South Carolina – Bailey Betenbaugh: Bailey is the only underclass selection of the eight, a huge feat for the sophomore right-handed pitcher and infielder from Union County High School in Union, South Carolina, helping to lead the Yellow Jackets (26-6) to the Class 4A state championship this past season. On the mound, Bailey was 16-4 with a 1.38 ERA and hit .504 with nine homers this season. 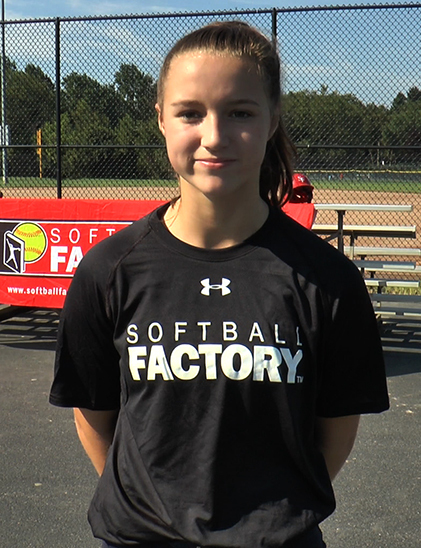 Softball Factory saw the talented Betenbaugh at an Under Armour Softball Factory National Tryout in Columbia, South Carolina back in 2015. Texas – Casey Dixon: The senior right-handed pitcher from Willis High School in Willis, TX helped lead the Wildkats to a 39-7 record at the time of her selection with an incredible 34-7 mark in the circle with a 1.07 earned run average and an astounding 415 strikeouts in 236 innings this season. The University of Louisiana-Lafayette commit was even better during their playoff run, tossing two complete games on a single day in each of Willis’ final three rounds of the Class 5A Region 3 Tournament, as her wins were the deciders in each series. Dixon attended the 2017 Softball Factory All-America Pre-Season Tournament in January and shined, winning an Easton Gloveman Award for her performance. Virginia – Kathryn Sandercock: Kathryn is a junior right-handed pitcher from Bishop O’Connell High School in Arlington, VA. She helped lead the Knights to a perfect 27-0, winning both the Washington Catholic Athletic Conference and the Virginia Independent Schools Athletic Association Division I state titles this past season. Sandercock was 26-0 with a 0.09 ERA – yes, an 0.09 ERA – and 330 strikeouts in 151 innings pitched, allowing just 35 hits and 19 walks. 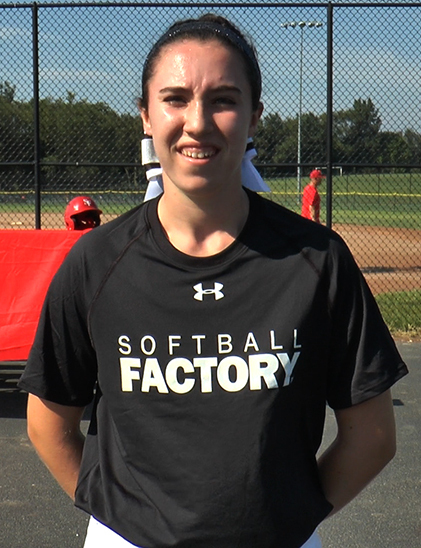 Softball Factory staff saw the talented Sandercock at the 2016 Under Armour Softball Factory Eastern Classic where soon after, she was selected as a standout to train for the 2017 USA Softball Junior Women’s National Team in Oklahoma City, OK this summer. Sandercock has committed to play at James Madison University. This entry was posted in News, Player Development and tagged Avery Wheatley, Bailey Betenbaugh, Casey Dixon, Jocelyn Alo, Kaitlin Beasley-Polko, Kathryn Sandercock, Lauren Burke, Meghan Beaubien on June 6, 2017 by Matt Lund. The field for the 2017 NCAA Division I Championship was set earlier this week and games are underway as we’re sure to see some exciting match-ups and storyline intrigue over the coming weeks as the University of Oklahoma looks to defend their 2016 Championship. The pairings were announced and the Southeastern Conference set a new record as all 13 teams were selected to the tournament, the most in conference history. According to the NCAA website, the Pac-12 had eight teams selected to the tourney and three schools will make their first ever appearance: East Tennessee State University, University of Montana and Saint Francis University (PA). For the third straight year, the University of Florida holds the overall No. 1 seed in the Championship Tournament and will host Florida A&M in their first matchup. This year, 45 of the 64 teams entered into the 2017 NCAA Division I Softball Championship tournament have at least one Softball Factory alumnae on a roster. In total, 78 players who have participated in at least one Softball Factory event are on the rosters of teams looking for the opportunity to be called champion. East Tennessee State and Fairfield lead the way, with both teams having four alums on their rosters. Below is a list of our alums who are on rosters of teams selected for this year’s tournament. This entry was posted in News on May 19, 2017 by Matt Lund.